Happy for the World Jousting Championships to be heading to Lardner Park are, from left, current world champion Phillip Leitch, Baw Baw Shire CEO Alison Leighton, event organiser Andrew McKinnon and Lardner Park CEO Nicola Pero. Hear the thunder of hooves and the clash of wood and metal as Baw Baw Shire transforms into a medieval kingdom for the World Jousting Championships at Lardner Park in June 2019. Fuelled by the popularity of shows like Game of Thrones, the ‘world’s first extreme sport’ – solid lance jousting – is experiencing a renaissance as medieval festivals across the globe stage real-life competitions. Gippsland visitors at Lardner Park’s Harvest Fest 2018 will get a glimpse of what’s in store as three of the jousters competing in next year’s World Jousting Championship smash it up from 1pm till 1.45pm this Saturday at Lardner Park. It may surprise some that Australia is one of the leading nations driving jousting’s resurgence, boasting our own reigning world champion Phillip Leitch from Ballarat. Knights from England, France, Canada, Norway and the Netherlands will vie with Sir Phillip and two fellow Australian qualifiers for the crown. The inaugural World Jousting Championship took place at Sydney’s St Ives Medieval Faire in 2016. The St Ives tournament, together with the Tournament of St Michel (France) and Tournament of St George (Russia), are key qualifying events for the World Championship also known as the ‘Three Saints Tournaments’. This World Jousting Championship at Lardner Park will offer visitors a complete medieval village, Full Flight birds of prey, Viking battles, a knightly foot tournament, archery, a trebuchet and even a Shakespearean tavern. It’s a great day out for the family. Solid lance jousting is the original extreme sport as practised by medieval nobility. Originating in the 11th century as cavalry training, jousting evolved into the high tournament of the 15th century. The basic concept of the event is unchanged from medieval times: two armour-clad opponents charge at each other on horses at speeds estimated at 40mph while wielding 11-foot-long wooden lances. The goal is to break your lance on your opponent’s shield. The event is supported by Baw Baw Shire Council and Latrobe Valley Authority. 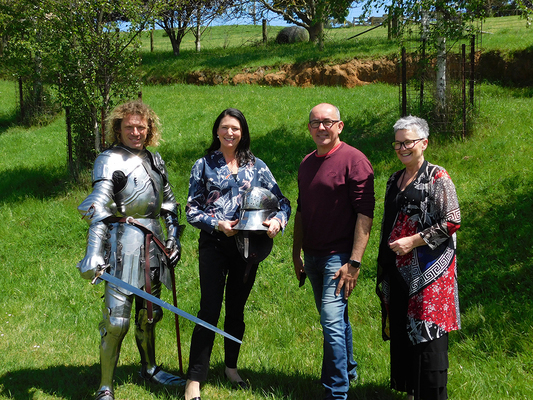 Baw Baw Shire mayor Mikaela Power said the shire had set its sights on attracting world-class events to the region and the World Jousting Championship certainly fit the bill. “It will be a wonderful experience for visitors of all ages and will put us on the map as a destination for hosting major events,” Cr Power said. Karen Cain, chief executive officer of the Latrobe Valley Authority said it was thrilled to be helping to bring this unique event to the region. 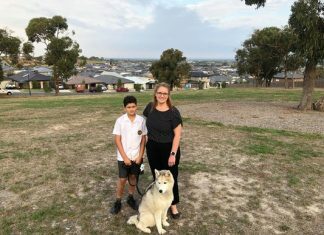 “Hosting this spectacular championship is a huge boost for tourism, attracting visitors from metropolitan Melbourne and across the state,” she said. Nicola Pero, Lardner Park CEO, said the venue hosted more than 100 events each year and the World Jousting Championship would certainly go down as one of the most unique. Event organiser Andrew McKinnon said the World Jousting Championship were not just for show – it was the original extreme sport.